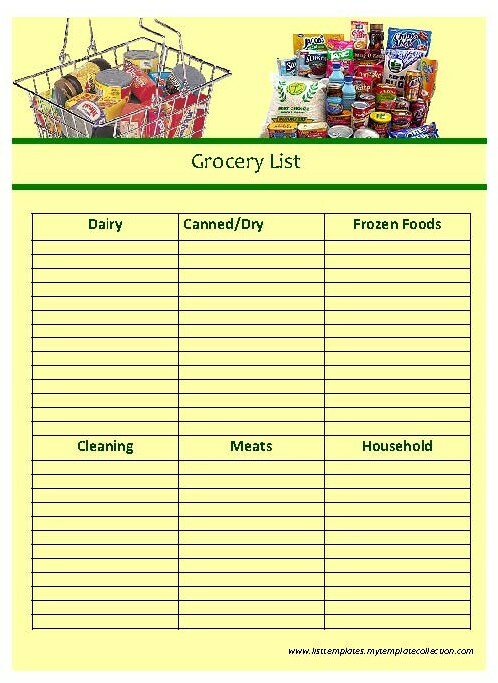 This page features a printable Grocery List Printable Recipes and other Printable items. Also provided is a printable list of low carbohydrate foods. They are alphabetically arranged by food group, with carb counts (in grams) shown on the right. All foods listed here are generally considered healthy for a low carb diet. To print this list, just click and drag your cursor to highlight the text and select a SAVE or a PRINT option from your drop down menu. The "enemies" of the human diet are fat and sugar. Carbohydrates quickly convert to sugar as they are being digested. A low carb diet is often medically necessary, such as for people living with diabetes. A vegan diet is very low in fat, but not necessarily low in carbs or sugar. The TOTAL amount of fat per day that is actually needed by the average human body is contained in half a banana. For more lists, nutritional info, health charts, reference tables and many assorted other free printable items, visit any of the links shown on this page.